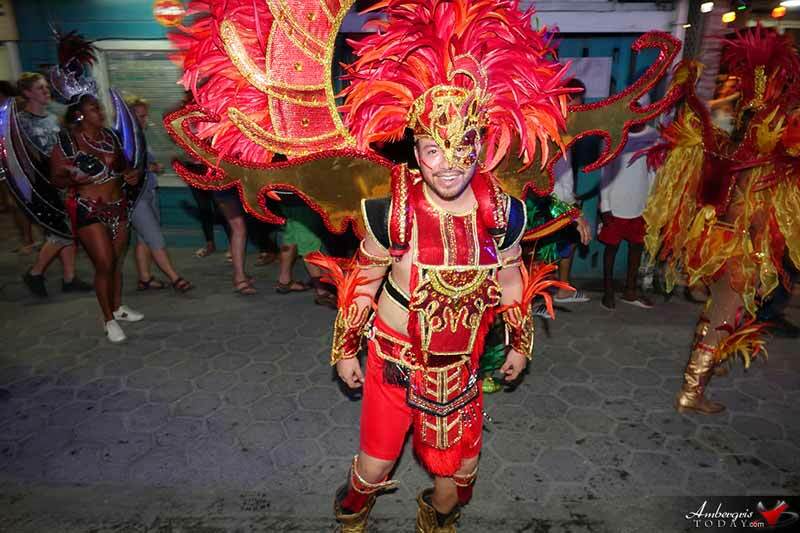 We're excited to announce our FIRST EVER Carnaval Parade followed by our Annual Carnaval Fiesta! We are inviting all businesses and anyone interested in forming a group or float and be a part of the parade. 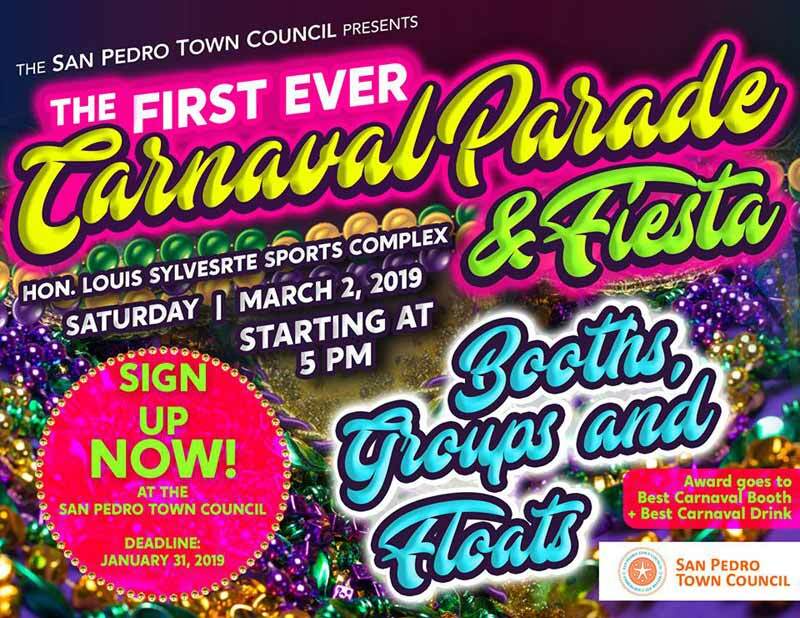 If you are interested in signing up or to find out more details on the parade, call us at the San Pedro Town Council office, 2262198. 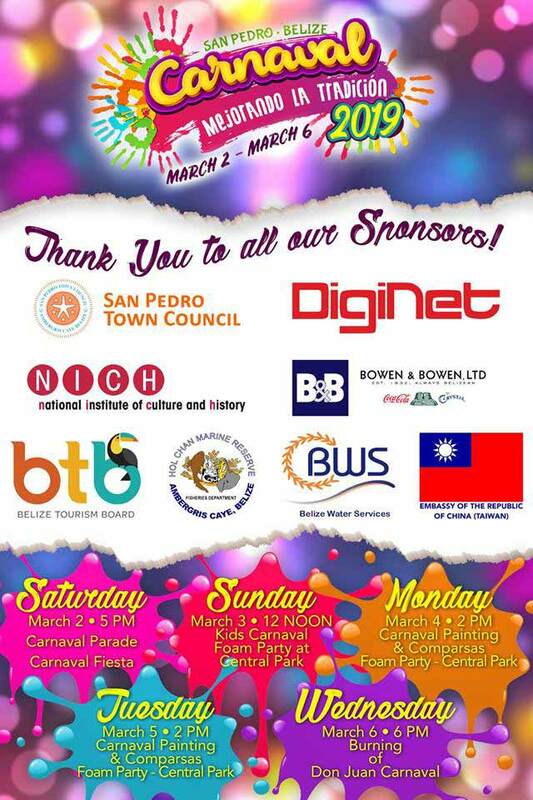 Also, anyone interested in having a bar or food booth for the Carnaval Fiesta, kindly sign up by calling our office. Awards will be given to Best Carnaval decorated Booth and Best Carnaval Inspired Drink. 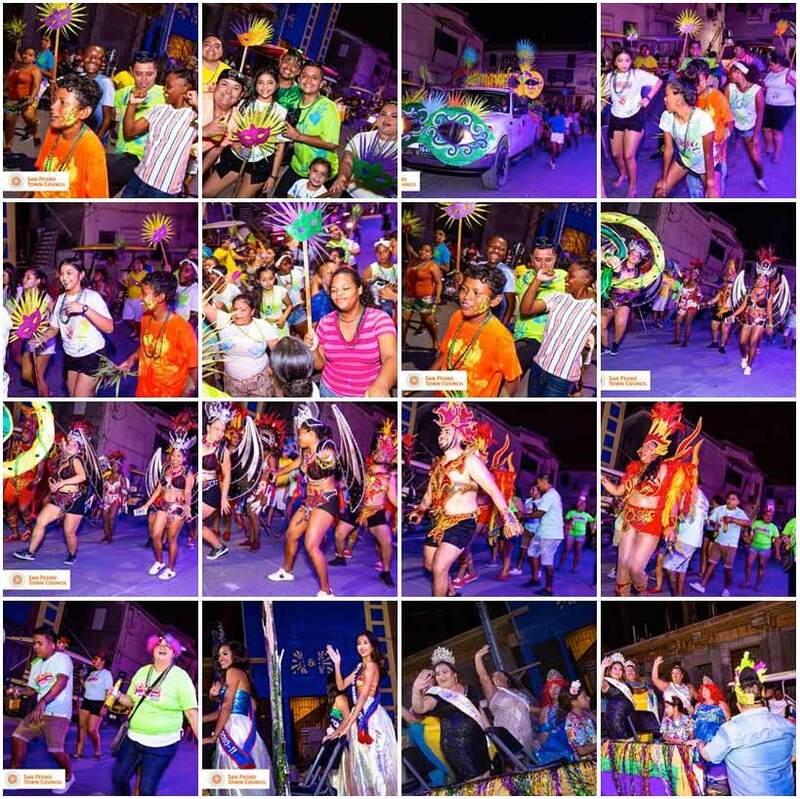 Let's keep on the tradition of El Gran Carnaval and make it bigger and better every year! 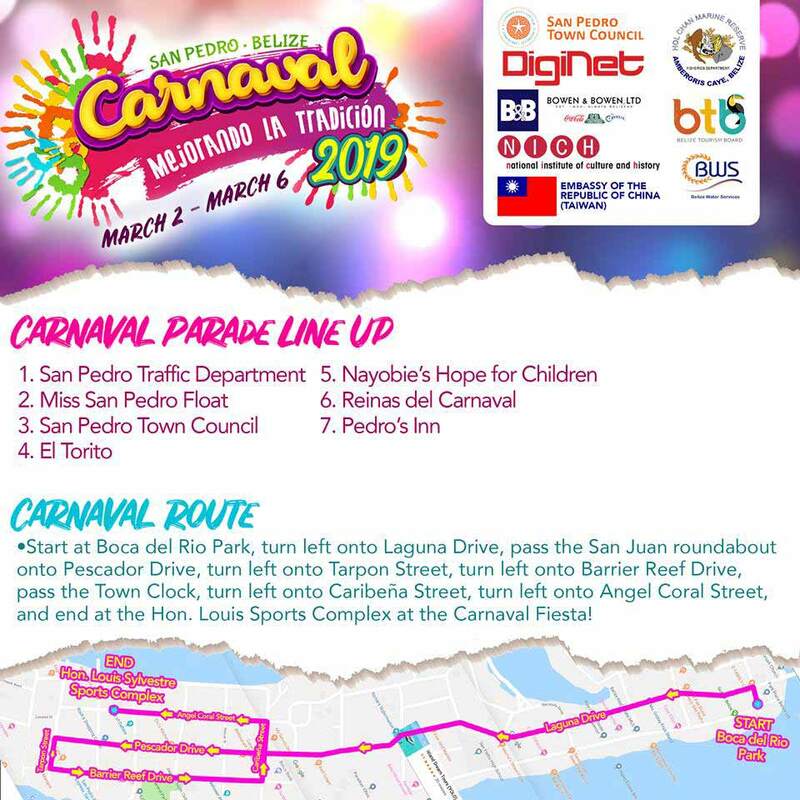 Here is the Parade Line Up and the Parade Route for Saturday's Carnaval Parade - March 2nd, 2019! We are so grateful for our sponsors! 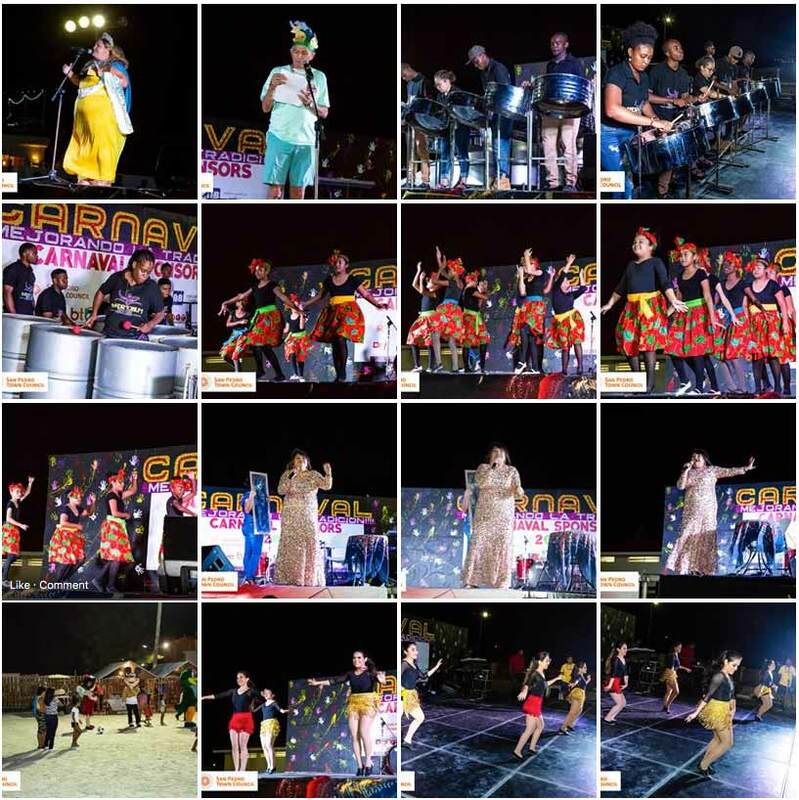 Thank you so much for making this year's Carnaval even bigger and better! Please take note on the rules and regulations (above) for Carnaval! Barrier Reef Drive will be closed at 3:00 p.m.
Also, the comparsas will be out from 5:00 p.m. until on Pescador Drive (middle street) and Barrier Reef Drive (front street), so please be considerate. We are discouraging all grocery stores not to sell eggs for the purpose of Carnaval, as they are used as weapons. The first ever Carnaval Parade was a great success, even though we had little participation. Leading the parade was Mr. Panny Arceo with El Torito followed by the vibrant Titans Mas Band. The parade also consisted of former Miss San Pedro titleholders, as well as former Reina del Carnaval titleholders along with Mrs. Flora's group. The cartoon mascots was the crowd's favorite as they danced with the people on the sides. And ending the parade was, Nayobie's Hope for Children who were full of energy. Thank you all for participating and we hope next year we can have more participants to make it a more bigger and more exciting parade!